Philosophy 'Purity Made Simple' Cleanser// This is a really gentle 3 in 1, mild scented cleanser. I've been using this to remove excess make up on a night, and to wash my face on a morning. This has made it into my favourites purely because it's the only face cleanser I've owned that doesn't sting my eye area. I'm not sure if it's made a difference to my skin just yet but I will keep you posted! 'Sienna' Eyeshadow// I love the Anastasia Lavish Palette as a whole but I've been particularly loving the shade 'Sienna' this month. I used it for my birthday make up (read that post HERE) and it's just a really gorgeous, red-brown shade. It's great for defining the outer v and crease of your eye, but I personally love patting it all over my lid for a really sultry look. MAC Lipstick in 'Heavenly Hybrid'// I did a full review of this HERE so I won't ramble on too much. All I can say is that I've been wearing it non-stop lately; it's such a beautiful Spring shade. My only issue is I wish it had more staying power. Sigma E55 Brush// I've been searching for a brush like this for such a long time. It's by far the best brush I've used for packing colour onto the lid. It has flat, dense bristles so picks up colour well and applies it with very little fallout. It's part of my Sigma travel kit so the handle is nice and short, making it easier to use. Every make up lover needs this in their collection! Real Techniques Buffing Brush// I've been using the Buffing Brush from my RT Sam's Picks kit a lot throughout March. The bristles on this are also quite dense and pick up colour well. I love using it to dot blush onto my cheeks before blending it out with a big fluffy brush. Moccasin Ankle Boots // Whenever I bid on something I really want on ebay I never win but as soon as I bid on something and decide I don't want it, I win! That is exactly what happened when I bid on these boots. I'm actually really happy I won them now because I've fallen in love with them. 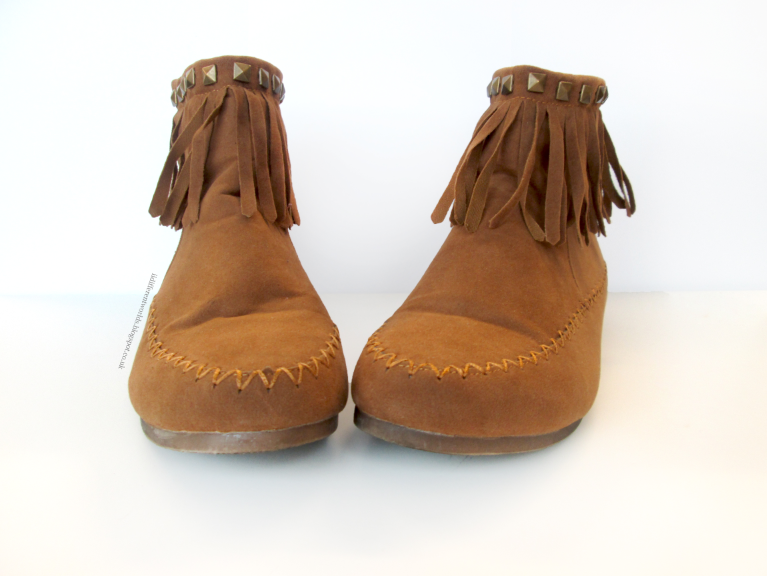 They are an adorable, fringed moccasin boot with metal studs and a little zip at the back. They are super comfy and are perfect for a Spring wardrobe. Nicole has been one of my favourite Youtubers for such a long time but I've been rekindling my love for her throughout March. Her make up is always so flawless and she is just fun to watch. If you haven't already, go check her out! You won't be disappointed. I adore Nicole! 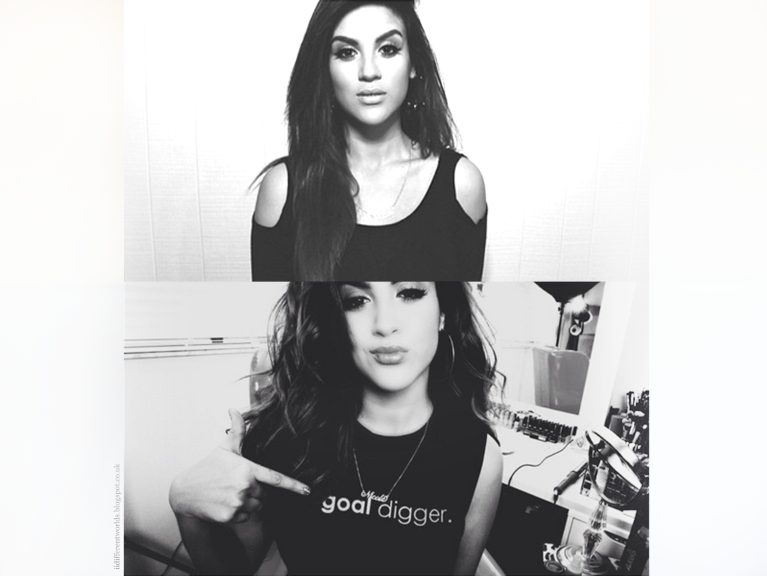 She is one of my favourite YouTubers :) Love your make up picks too!! I've not used it for buffing foundation yet! Still testing out all the brushes really. Jeaaaalous of your Sigma brush(s). Did you order from the US site? Was the shipping time awful?? I'm dying to get my hands on the Lavish palette!